This BigFoot lamp has a unique, industrial feel. 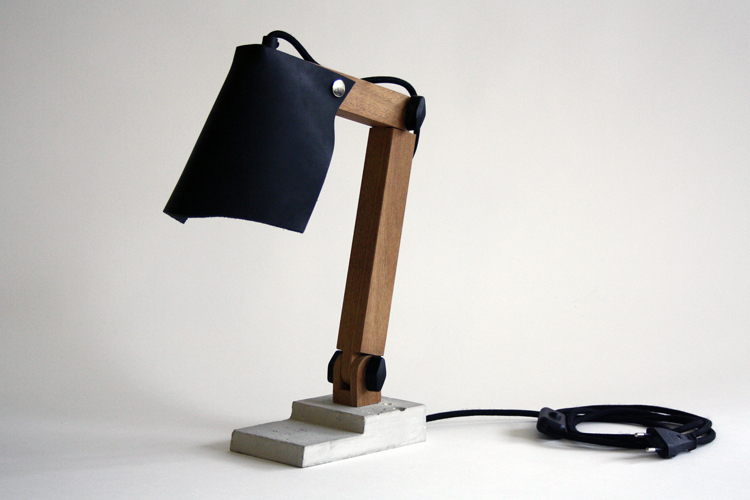 This entire lamp is handmade from natural products concrete, wood and leather. The lamp can be used as a night or table lamp. The lampshades can be easily replaced by push buttons for another cap. This makes it possible to change color within the interior. 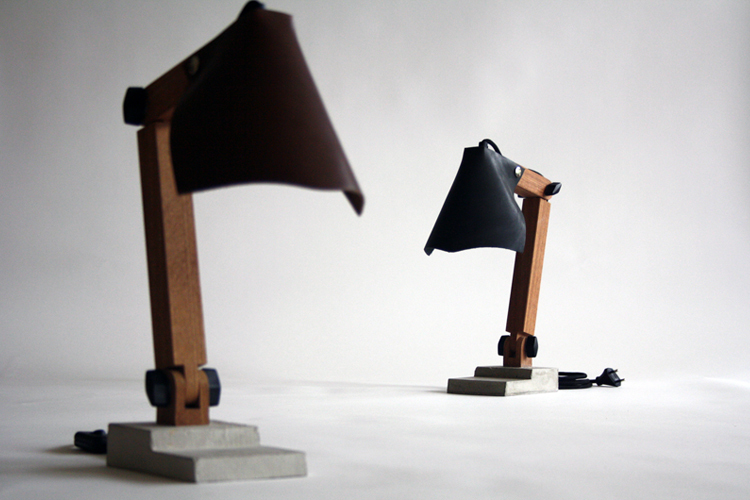 Each lamp is unique because the leather and the concrete base never looks exactly the same. The small defects and imperfections accentuate the beauty of form and functionality of this lamp. The leather in the lamp shade is residual material from the fashion industry, therefore each color is limited available. The color may differ slightly from the picture on the site. Also the concrete is never the same. We have no influence on small cracks and bubbles that occur.